There are certain companies which envision the future needs of the society quite earlier than their peers. This stands true for GST Dost. At a time when even the mavericks were “chopping and changing” their opinions on a very complicated GST law, there was a company which was working out the solution for the complex time and scenarios soon to come. It was none other than the Kolkata-based GST consultants – GST Dost – who stood tall among its peers through its personalized and user friendly GST services. The word ‘Dost’, meaning friend in Hindi, is enough to lend an idea as to the modus operandi of the company. 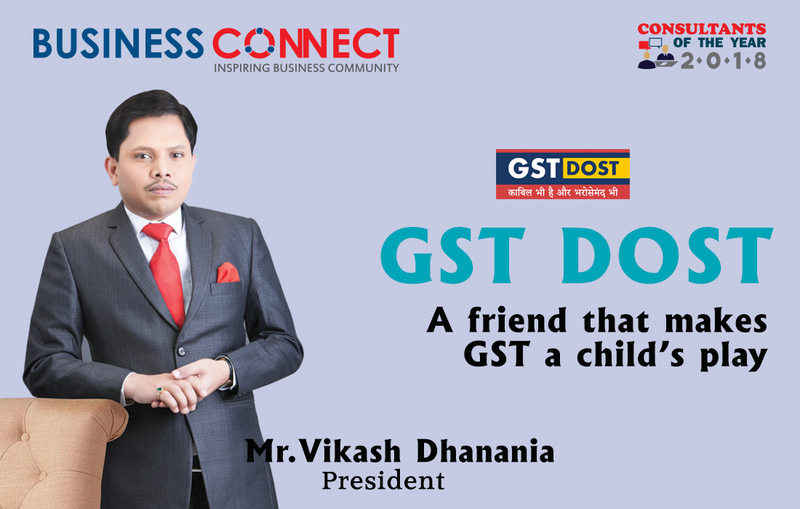 GST DOST emerged in the year 2004 as the brainchild of Mr. Vikash Dhanania. It was his deep-rooted know-how of the domain that led him to pursue his career as a solution provider. He always had the knack for offering custom-tailored solution that exactly fits with the needs of the people. The company was formerly known as “My service tax” and it functioned with this title for over a decade, helping individuals and businesses of all sizes alike. Three years ago, it started preparing itself for the big change ushered by the present government it could, in turn help everyone. With a clear vision and unwavering dedication, GST DOST has managed to set itself apart from other GST consultants and service providers. It’s rare to come across a solution provider that considers people as a friend. GST DOST does not believes in the formalities of corporate culture which typically includes flowery language that lacks in heart-to-heart talk. The company believes in providing required solution in the easiest way possible without letting jargons become a barrier to the clients. The tax with the tagline “One Nation, One Tax” had become a puzzle for most of the professionals. Although this sort of tax had been in place for many years in 160 countries, the Indian government was struggling with the demands of many sections and industries. The lack of clarity from the government and issues pertaining to tax-compliance had become the apple of discord for the business world. With the policies changing frequently, it was becoming tough for even the most reputed CA firms to take cognizance of the tax that had become more of a Pandora’s Box. So, GST DOST decided to become the torch-bearer and guide businesses and individuals on how to tackle GST. Equipped with technology and assisted by AI, it became the most user-friendly solutions around to understand and deal with GST-related matters. One of the most fascinating things about the company has been its customer-oriented services that are designed to provide best-in-class services to its clients by overcoming barriers in communication. 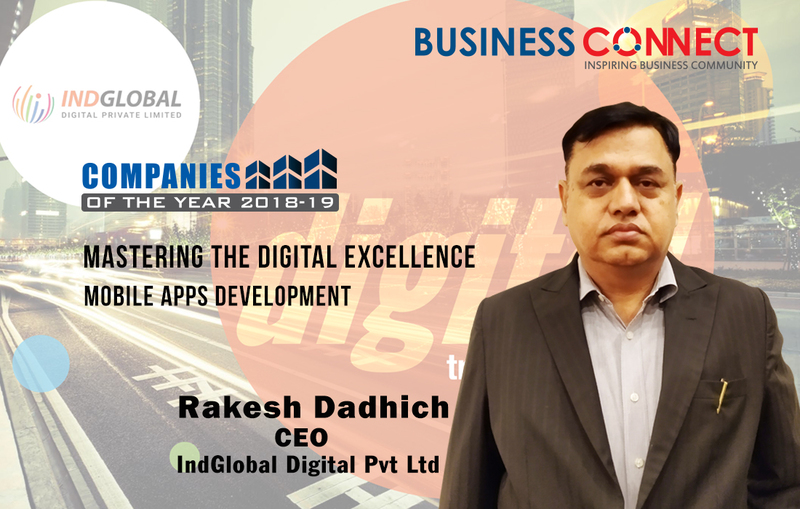 People in the corporate culture have metamorphosed 21st century as a time when English has taken a form of prime language to bring forth their business operations. But this has proved to be a yet another obstacle for many people. In a country where one is considered uneducated because of the lack of knowledge of English, it becomes embarrassing for a huge population who are not comfortable while talking to CAs or other qualified people. Here comes GST Dost for the rescue of its clients. It makes sure to provide the services in a language which comforts its clients. Because it understands that language is a means of communication rather than a source to prove your superiority and qualifications. There is a large population even today which is not comfortable with the usage of English in day to day life. The company makes sure that the lack of English does not become a reason for the dissatisfaction among the clients. That is why the company, since its beginning, operates with multilingual options. It caters its services in Bengali and Hindi to make it easier for their clients to articulate their problems with an ease. The company has a unique mechanism in order to provide the state-of-the-art services. It has trained its employees to work in a sequence that makes it easier for them to yield competitive and unbeatable services. To that, the first thing that its employees do is to systematize themselves according to the needs of the clients. Then they try to get a grasp of the problem and work out probable solutions. The employees are given knowledge on different topics by means of proper training. But only having knowledge is not sufficient to provide good enough service. So to better it, the company provides latest technologies to its employees who are also assigned “Dost” title for the convenience of people. They figure out assorted methods to give the best solution in minimum time possible. Finally, it comes up with the best resolution. Unlike many companies who are seen busy promoting only the top guns, every employee at GST DOST is given equal opportunity to display capabilities and scale heights. The official Facebook page of GST Dost and other social media websites related to the company are full of employees work experiences, fun activities and celebrations. This is how the company is creating difference between stakeholders and the company. The company tries to give them full exposure to a work culture that is nothing short of a home to them. After all, dost or friend are meant to be fun loving. Another major trait that the company incorporates is its commitment to deliver Quality Service on Time with the help of Technology. It has always remained fervent to deliver services on time, no matter if clients need any help during odd hours too. GST Dost, standing true to its name, does not hesitate from assisting its clients in trouble. From the very first day of operation, the company has set its eye on 11 million people who are not capable to pay heavy fee of CAs. This is the middle-class section of the society that is in search of affordable solution to their complex problems. As a company value, GST DOST refrains from discussing fees with clients struggling with their problems. It keeps its focus on problem-solving rather than asking about money. That said, the value and efficacy of the solutions stays undiluted. The extent of services provided by the company is at par with Big 4 companies. It’s two-pronged modus-operandi showcases its caliber to provide pre-designed as well as after customized products. Not only this, it provides personalized CA services to clients who wish for more personalized services. It doesn’t follow the thumb rule of CAs according to which the fee is decided after seeing the pocket size of client. The company is working with a prime motive to help its clients avoid the issues pertaining to tax-compliance. If someone feels harassed despite being tax-compliant, it makes sure to assuage the concerns of its clients. The company makes full use of technology to make its services “ice on cake”. It uses video conferencing to cater to rural belt so that they don’t need to worry about travelling long distances in Kolkata. In a candid chat with Mr Dhanania, a very soft-spoken founder of the company says, “When we can talk, why we should walk”. The innovative ideas do not end here. For increasing the know-how of GST among people, it has come up with many creative platforms. It hosts GST Talk show which includes shayris, stories and poems to ease GST for common man. All the programs are updated regularly. Moreover, the company believes in praising people for their good work. The company never hesitates from naming people for their commendable work. It believes in learning no matter what the source is. The people here are ready to learn rather than satisfying their ego. It has a helpful feature on website that helps out senior citizen and uneducated people. The amazing feature makes it a child’s play to work on it. They just need to click on microphone button and take the benefits. The company has always tried to bring creative ideas to its core so that it could bring out-of-the-box solution. This has reverberated quite positively among people. But so much of success does not come with spoon feeding. You need to fight bravely with challenges. The company faced several hindrances in its initial phase. One of the prime among them was its commitment towards taking full responsibility of its work. Even in the very beginning of the company, it was rock-solid on its commitment towards maintaining proper transparency. Of course, it was tough but the company successfully sailed through this challenge. Its competitors would often make a mockery of the usage of Hindi and Bengali but it never gave a damn about it. What matters the most for the company is its will power to yield satisfying services to clients. The longs list of struggles does not end here. Resource was also a major constraint for it. The sole motto of the company has always been to ease the process. It has a pool of major clients spread across the globe. South-Eastern Railway, Dollar and Maa Annapurna etc are some of its big clients. The clientele are spread across all sectors. But the company is focused on small clients. It covers service sectors, traders and manufacturers including others. GST DOST provides proper training to its employees and has online portal assigned for its services. It has a team that has subject matter experts such as E-way bills, return filing, data analytics having team leader. The team leaders are expected to put forth their best efforts to satisfy their customers. The company has an excellent escalation matrix working in favor of it. Its GST portal updates live on the functioning such as GST returns of clients and pending work reports. The company has an annual appraisal program that keeps in mind the performance of its employees and analyzes their problem-solving temperament. Rather than a typical corporate working style where focus has always remained on the negative aspects, GST Dost has always followed a principle to bring out the positive side of the coin. If there is any kind of negativity doing rounds, with the help of an exemplary teamwork, it comes up with the solution. GST DOST was published in a business magazine. Its portal SAHAJ is helping it make accountable. It does not believe in giving free service. Its blog in sanmarg magazine is published for last 5 years. It has a return filing portal that uses AI for the betterment of solutions.